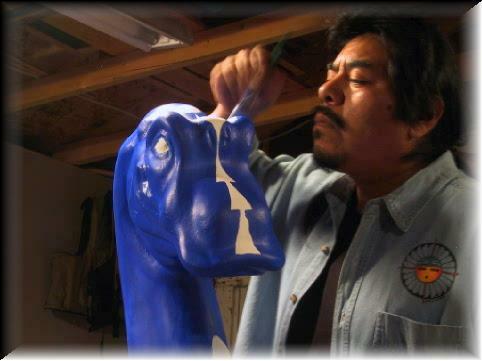 Our family is sponsoring a Dinosaur in the Stompede for the New Mexico Museum of Natural History. See the picture gallery below for photos. The artist is George Toya. See George at work here.